As part of its ongoing effort to provide convenient access to media, information, and resources for Frisco residents, Frisco Public Library is now offering live chat on the library website, friscolibrary.com. Customers may use live chat to renew checked-out items, obtain help with searching the library catalog, receive assistance with downloading e-books, and more. The live chat service works in both desktop and mobile internet browsers, allowing members to get help at home or on-the-go. With a growing number of members accessing library resources online, live chat allows FPL to provide more responsive customer service to online visitors. Sundays 11 a.m. to 8 p.m.
Frisco Public Library, located in the George A. Purefoy Municipal Center, 6101 Frisco Square Blvd, is dedicated to inspiring intellect, curiosity, and imagination for residents of Frisco. The library is open Monday-Thursday 9 a.m.-9 p.m., Friday 9 a.m.-6 p.m., Saturday 10 a.m.-6 p.m., and Sunday 1 p.m.-6 p.m., or visit any time online at friscolibrary.com. 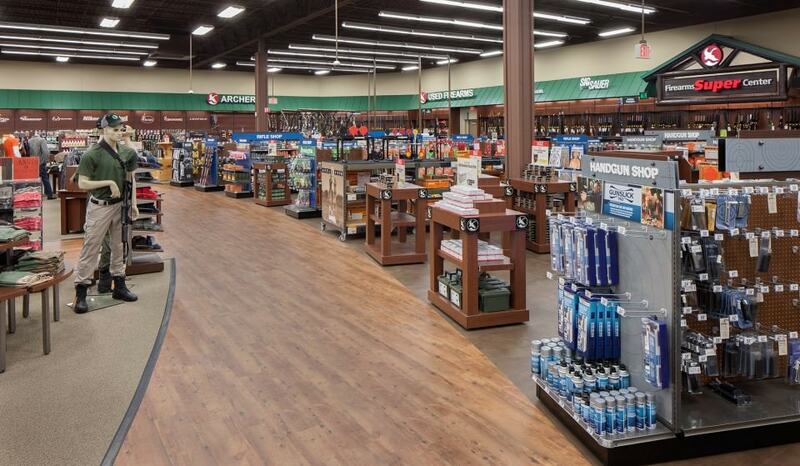 Gander Mountain, America’s Firearm Supercenter and the nation’s largest and fastest-growing outdoor specialty retailer, is celebrating its new store in Frisco with a four-day grand opening celebration from September 29 – Oct. 2. Experience a full line-up of weekend grand opening activities kicking off with the official ribbon-cutting and grand opening ceremony on Thursday, September 29th at 9:45 a.m.
Live performance by country music artist Murphy Elmore, at 9 a.m. before doors open on Thursday, followed by a meet-and-greet from 11 a.m. to 1 p.m.
Professional angler and Strike King pro-staffer Todd Faircloth will be at the store on Thursday from 4 – 7 p.m.
Travis ‘T-Bone’ Turner, co-host of Michael Waddell’s Bone Collector on the Outdoor Channel, will sign autographs both Friday from 3 – 7 p.m. and Saturday from 10 a.m. – 2 p.m.
Professional angler and Gander Mountain pro-staffer Dean Rojas will be at the store on Friday from 3 p.m. – 7 p.m. and Saturday from 10 a.m. – 2 p.m.
Carhartt will share their new innovations with prizes to win on Saturday from 9 a.m. – 4 p.m. Owner and creator of Buck Gardner Calls, Buck Gardner, will be at the store on Saturday from 10 a.m. – 2 p.m.
Free line winding (up to 3 reels) during the Berkley Trilene Happy Hour on Thursday and Friday from 4 p.m. to 7 p.m.
Remington will host their mobile truck on-site all day Thursday through Sunday for customers to tour. The first 100 kids can paint their own fishing lure at Berkley’s Paint-A-Lure event Thursday and Friday from 6 p.m. to 8 p.m.; Saturday and Sunday from noon to 3 p.m. The first 75 kids each day can Build-A-Call and learn to use it with the help of Buck Gardner Calls on Saturday and Sunday from noon to 2 p.m. Kids can also learn to cast at the Casting Event, sponsored by Shakespeare, on Saturday and Sunday from noon to 3 p.m.
Entertainment and celebrity pro athletes will be appearing throughout the weekend, plus a series of events for kids from a learn-to-cast activity to painting a fishing lure! This newest Gander Mountain is located in a brand new 60,000-square-foot store building on the west side of the Dallas North Tollway just north of Eldorado next to Market Street. 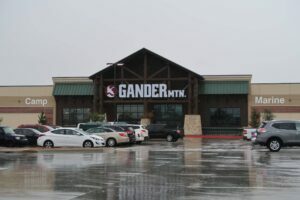 It will be the 22nd Gander Mountain location in Texas, joining existing stores in the local Dallas market including Lewisville, Lake Worth, Arlington, and Mesquite. As part of the grand opening, the first 1,000 guests through the door each day from Thursday, Sept. 29th, through Sunday, Oct. 2nd, will receive a free scratch-off card for great prizes and Gander Mountain gear. Every card is a winner, with prizes ranging from gift cards valued up to $100, discounts up to 50 percent off, to shirts, hats and more. Guests may also register for a chance to win a $500 Gander Mountain gift card. Every once in a while I run across a business in Frisco that just thrills me to no end… M&D Sorority Gifts is my latest find. M&D stands for “mother and daughter” and was created in 2009 with much love and determination by Trudy (mother) and Jennifer (daughter) Marlow. I am an only child. The only family member my age is my cousin, Ashley, who is one year younger than I am. She is an only child, too, and has an only daughter, Zoe, who just pledged Zeta Tau Alpa (ZTA) at Stephen F. Austin State University. I’m SO proud of all of Zoe’s accomplishments and as soon as she received her bid I went looking for Zeta items to get her as a “Congrats” gift…. I had no idea how hard that search would be. Of course there’s tons of ZTA, and every other sorority, items online, but I was having lunch with Ashley and Zoe the next day and I wanted to take her a goodie basket then. That meant finding items immediately. Google to the rescue and I found M&D Sorority Gifts right here in Frisco. M&D’s unique designs are what differentiate them from other sorority stores in the DFW area and the U.S. Trudy designs the majority of the products for the 28 sororities. Their clothing is not just for current active sorority women, M&D also carries clothing for mom, dad, alumnae members, big sister, little sister, grand big, and legacy clothing. Jennifer specializes in the social media aspect of the business with an emphasis on product marketing and customer relations. How did it all come to be? Jennifer joined Gamma Phi Beta at SMU in Dallas, and the following year Jennifer took “twin littles.” Twins in a sorority means two little sisters from the same pledge class. When a sorority woman takes a little, or littles, she prepares a basket of her sorority’s merchandise including clothing, drinkware, and room decorations. “Mom and I had a hard time finding unique Gamma Phi Beta products for littles. Luckily for me, my parents were only 45 minutes away, and I was able to go home on the weekends. We were doing a lot of crafting, so we started making our own Gamma Phi Beta gifts from her house in Frisco each weekend. During the week, I lived in the Gamma Phi Beta house at SMU. I would bring in all my new Gamma Phi Beta gifts, and my sisters and friends LOVED what we made and asked us to make things for them. That was the beginning of M&D Sorority Gifts,” said Jennifer. 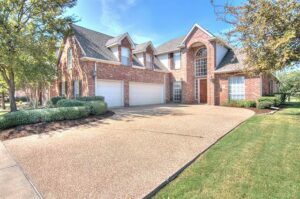 So, why Frisco? It’s Trudy’s and Jennifer’s hometown. Having started primarily as an ecommerce only business, M&D was quickly embraced by Frisconians and word spread. They wanted their store to be close to their home and serve the sorority needs of local ladies. So, share the sisterhood, and get all your Greek gifts at M&D Sorority Gifts! As someone who has covered FC Dallas almost continuously since 2006, I remember when the club first drafted Matt Hedges back in January 2012. Here was a kid from collegiate powerhouse North Carolina, a talented, young center back who had an impressive pedigree; someone who now-former FCD head coach Schellas Hyndman saw something special in. It didn’t take Hedges long to crack Hyndman’s starting 11, but since that point over four years ago, he has done nothing short but solidify the Dallas defense and emerge as one of the top center backs in Major League Soccer. Hedges has always had the demeanor of the strong, silent type in the back, someone who didn’t say a whole lot but who still got the job done. When Hyndman stepped down as coach in 2013, and current FCD boss Oscar Pareja was hired, the man known as “Papi” had a different vision. Pareja saw Hedges as a captain. Someone who breaks out of his shell and becomes not just a great leader through his actions but who could also become more vocal on the field and in the locker room. So, prior to the 2014 season, Pareja named Hedges and Andrew Jacobson, then a veteran midfielder who now plays in Vancouver, as his co-captains. Jacobson ended up being traded later that summer to New York City SC leaving the armband solely to Hedges. It was a big leap of faith by Pareja, but one Hedges has repaid time and time again as he has not only become more vocal, but has also come to epitomize what a leader should be on and off the field. Leadership is something Pareja knows all about because he was a well-respected voice during his playing days with the Dallas Burn and FCD. Earlier this season, Hedges missed time due to injury which gave Pareja the opportunity to have other players serve as captain. Speedy attacker Fabian Castillo, who has since been sold to a club in Turkey, along with attacking midfielder Mauro Diaz and Wylie product Victor Ulloa, have also served as captain this season. Again, Pareja’s aim is to get those players to come out of their shells and to leave their respective comfort zones, much like he did so successfully with Hedges over the past few seasons. We’re doing the same [thing], trying to get him [Diaz] out of that shell and trying to give him an opportunity to lead the team in a different way, from a different angle,” Pareja said. Hedges admits going from being someone who wasn’t a big talker on and off the field to becoming a more vocal leader was a huge paradigm shift at first and something he still works on improving at every day. Yet, it’s something he’s become more comfortable with as the years have passed. When Hedges looks back on his early days in MLS, he sees himself as he was, the strong and silent type, the sort of leader who was more of a lead-by-example personality. Now the veteran center back who recently got engaged, sees himself still as someone who is quite adept at leading by example. A player and a person who continues to evolve in a number of ways including finding avenues to be a more vocal leader both on and off the field so he can continue meeting and exceeding Pareja’s rather high expectations. Amazingly enough, despite being regarded as one of the top central defenders in MLS, Hedges has yet to appear in the MLS All-Star Game. However, he was selected to the league’s best 11 last fall, showing that his great work hasn’t gone unnoticed. Of course, as a team-first guy, he doesn’t concern himself with individual accolades, but he admits it was nice to finally get some recognition for his hard work and strong play in 2015. But he’s not surprised that it took until last season for him to gain some league-wide recognition for his strong play. Despite FCD having a stellar record since Pareja came on board, the league in general and the media seem to practically ignore or diminish all the good things Dallas has been doing under “Papi,” preferring instead to extol the virtues of more high-profile clubs like the LA Galaxy, New York City FC, Portland and Seattle. Hedges and his FCD teammates have come to accept that’s just the way things are. When Dallas does get some long-overdue recognition, whether it’s one player or the club, it’s praise they are happy to receive. “It’s kind of hey, let’s talk about Seattle, LA or whatever, but it’s never really Dallas. Even when we’re in first place in the league, you see one or two articles about us and like five about what Clint Dempsey ate yesterday or something like that. It is what it is,” Hedges said. Another area where Hedges hasn’t received his proper due is with the US national team. The now-veteran center back has made just one appearance for the US, in February 2015, when he came off the bench for the final 18 minutes of an international friendly against Panama. US head coach Jurgen Klinsmann and his staff have seemingly ignored Hedges, a snub which is a head-scratcher to anyone who has seen Hedges play, including Pareja. “I think Matt is a national team-caliber player, that’s what I think. He’s a player who has grown tremendously in all areas. He just became not just a regular player in our lineup, but somebody who we look to every time. Matt has done a great job for us,” Pareja said. While today is officially the first day of Fall, we’re all waiting for it to look like the picture above (complete with sweaters and hot cocoa!) 😉 Meanwhile, enjoy a wine & cheese mixer, youth theater, reading with Rover, plus a train exhibition all this week in Frisco and don’t forget to please participate in North Texas Giving Day today! From September 19th – September 25th, 2016 you can vote ONCE PER DAY for the best burger in Frisco. We’ve got 10 great choices this year including new entrants. So, help us decide who will be the 2016 Readers Choice for the Best Burger in Frisco! “GDAACC Wine & Cheese Mixer with One Cloud Networks” – Join the Greater Dallas Asian American Chamber of Commerce (GDAACC) for a Wine & Cheese Membership Mixer with One Cloud Networks. Network with GDAACC members, partners, affiliates, clients, the One Cloud Networks team, and the Frisco Chamber of Commerce International Business Group. Drinks will be served with appetizers and light refreshments. FREE for GDAACC members, potential members, and One Cloud Networks. RSVP online or give us a call at (972) 241-8250 x 4 to reserve your spot. “Charlotte’s Web performed by Frisco Youth Theater” – Named the “the best American children’s book of the past two hundred years” by the Children’s Literature Association, Charlotte’s Web is a beautiful, knowing play about friendship. All the enchanting characters are here: Wilbur, the irresistible young pig who desperately wants to avoid the butcher; Fern, a girl who understands what animals say to each other; Templeton, the gluttonous rat who can occasionally be talked into a good deed; the Zuckerman family; the Arables; and, most of all, the extraordinary spider, Charlotte, who proves to be “a true friend and a good writer.” September 23rd @ 7:15 pm – 9:00 pm in Black Box Theatre, Frisco Discovery Center. Tickets are $10 – $12. “Read to Rover at the Frisco Public Library” – Grab a book and practice read-aloud skills with a therapeutic furry friend. Between 3pm and 4pm, a FREE ticket is required, but space is limited. Tickets are released on the 2nd floor 30 minutes before the class begins. Attendees will take turns reading to therapy dogs. Reading time depends on the number of attendees. “Charlotte’s Web performed by Frisco Youth Theater” – Named the “the best American children’s book of the past two hundred years” by the Children’s Literature Association, Charlotte’s Web is a beautiful, knowing play about friendship. All the enchanting characters are here: Wilbur, the irresistible young pig who desperately wants to avoid the butcher; Fern, a girl who understands what animals say to each other; Templeton, the gluttonous rat who can occasionally be talked into a good deed; the Zuckerman family; the Arables; and, most of all, the extraordinary spider, Charlotte, who proves to be “a true friend and a good writer.” September 24th @ 2:15 pm – 4:00 pm and again at 7:15 pm – 9:00 pm in the Black Box Theatre, Frisco Discovery Center. Tickets are $10 – $12. “FC Dallas vs. Club Deportivo Suchitepequez” – This 2016-2017 CONCACAF Champions League Group match starts at 7pm in Toyota Stadium. “The Red River Bridge War – Saturdays at the Museum Lecture Series” – On Saturday, October 1st, from 9:30am to 11am, author and historian Rusty Williams will entertain adults with a presentation from his latest book “The Red River Bridge War.” In 1931 during the Great Depression, Texas and Oklahoma went to war over a 75-cent toll bridge that connected the two states. Participants in the two-week affair included Texas Rangers, Model T blockade runners, the National Guard, and a Native American peace delegation. The book will be on sale at the event. Come early (9:30 am) for free breakfast snacks. Frisco Heritage Museum, 9455 Page Street. FREE. “A Night of Improv with the Frisco Improv Players” – On Saturday, October 1st, at 8pm, Frisco Improv Players is an improvisational comedy troupe that specializes in game-based comedic performances, similar to those seen on the syndicated television show “Whose Line is it Anyway?” Their fast-paced, interactive improv is popular with all age groups. Frisco Discovery Center in the Black Box Theater, 8004 Dallas Pkwy. Tickets are $12. “Color Me Green 10k, 5k and Caterpillar Dash”- On Saturday, October 1st, the Frisco Square will be transformed into a Green Square for childhood cancer awareness. The 5th Annual Color Me Green race benefiting TeamConnor Childhood Cancer Foundation brings together childhood cancer patients, advocates, survivors, families and the community to raise awareness and funds to find a cure. The Color Me Green 5k, 10k & Caterpillar Dash kicks off with a 7:30 AM registration and pre-race warm-up, along with a ‘get green’ tent. The Caterpillar Dash one-mile fun run begins at 8 AM and the 10k at 8:30 AM, and the 5k at 9 AM. A Green Party and Awards ceremony begin at 10 AM with a video game truck, face painting, bounce house, and music. Before, during, and after the race, runners and guests can enjoy learning more about healthy living at the Color Me Green Health Fest. Sponsors will have tables set up to promote their healthy lifestyle businesses and products. “LoneStar Storytelling Festival” – Starting Friday, October 14th through Sunday, October 16th, more than 8,000 attendees come from Texas and neighboring states for two days and nights of family fun featuring award-winning storytellers, concerts, puppet shows, folk arts and crafts, and more stories ever told in one setting leaving listeners spellbound. Frisco Public Library, 6101 Frisco Square Blvd, Frisco 75034.